I hadn’t been to the Grand Army Plaza Greenmarket in a few weeks, and there was a lot of interesting stuff this morning. Have you ever heard of mountain mint? But for this column I just had to feature the fresh ginger from Evolutionary Organics. Priced at a pretty steep $20 per pound (I bought a small knob, which cost me $2.50), the sign claimed that it was worth the price. They are sold with stalks attached, which you can use as a flavoring agent, the way you can use lemongrass. I plan to chop the stalks up and toss them into my rice cooker, and then use the ginger itself in a stir-fry. 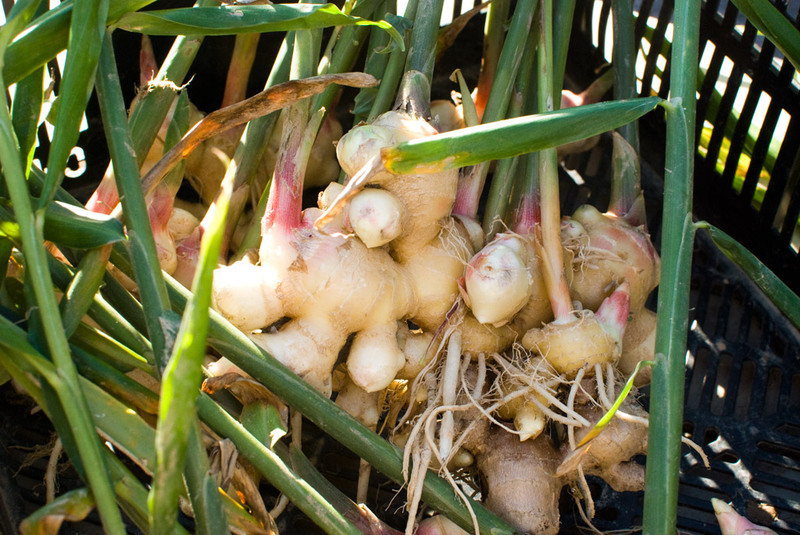 What would you do with fresh ginger?